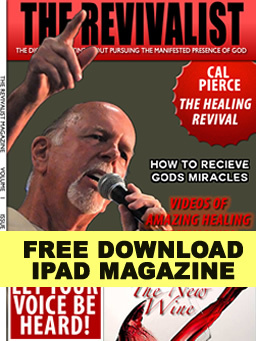 We are excited to announce that Cal Pierce and the Healing Rooms were recently featured in the April/ May issue of THE REVIVALIST Magazine, now available on iPad's Newsstand. THE REVIVALIST focuses on pursuing the manifest presence of God. There are articles about the signs and wonders of God and what He is doing today. You will find articles that encourage you to have real encounters with an amazing God.